Welcome to the Era of Intelligent Automation and Beyond! Automation and Artificial Intelligence have been around for years, but, it has been gaining a lot of traction recently. So what is new and why are they being mentioned in every discussion these days? 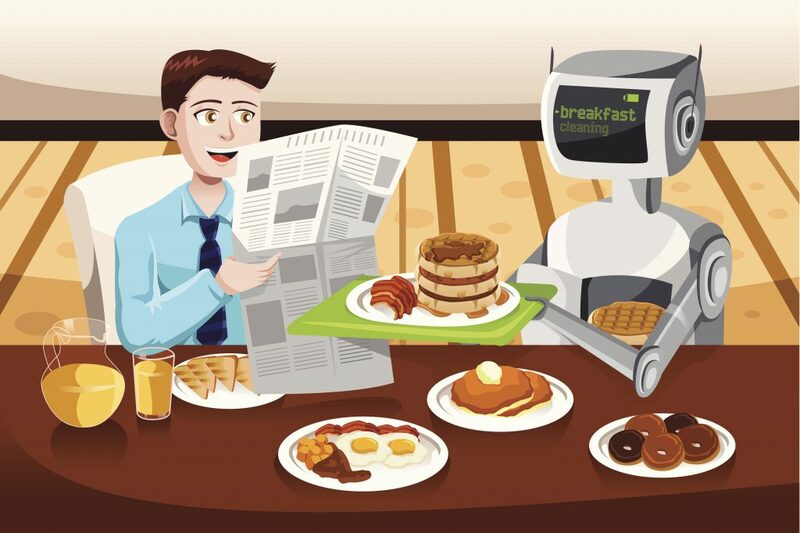 Well, the word automation by itself spans across a lot of things – it could be a simple script to run few commands or an advanced algorithm to drive a car or a complex program to read my mind and automatically serve me a cup of coffee without me saying a word! The level of automation done so far was limited by the resources available. For instance, automation tools like Selenium are used to test the user interface (UI) of products, but, tools like Applitools have taken UI test automation to the next level by using machine intelligence. This has enabled automation of UI testing across browsers (Chrome, IE, etc. ), operating systems (Android, iOS, etc. ), which was a cumbersome manual process earlier. A screenshot or design of how the UI frame should look like needs to be provided to such tools and they use Image Cognitive Analysis to detect and highlight anomalies. Machine intelligence has opened up various avenues and opportunities. Again, Machine learning has been around but it is the availability of resources like compute power, deep learning algorithms and platform to develop such algorithms. Earlier, these resources were available selectively to defense and research projects, financial organizations, etc., but, now it has been made available to the software world and hence, it has become the topic of every discussion. For instance, biometric authentication (Fingerprints, facial/voice identification) is now available in handhelds (both iOS and Android) and even laptops and desktops with Windows 10 providing these features inbuilt. While automation does save human efforts, time, cost and prevents errors, but, adding intelligence and learning capability to the software results in a smart product that could autoevolve. For instance, a robot watches another robot fall from the edge of a table and break and learns that one should stop at an edge. A good example of an intelligent ecosystem is Amazon Go. Amazon Go provides hassle free checkout while shopping, rather, it claims that no checkout is required in its store – Just Walk Out Shopping Experience! One needs to scan the mobile app while entering the shop, shop items and then walk out. The amount is directly charged to the individual’s Amazon account. Going forward, I believe such systems could include something like biometric identification (user identified by facial detection, voice, etc.) for a Just Walk in Experience with mobile scanning also not required! Additionally, it could learn user preferences and make recommendations or even keep the items ready for pick up, post-confirmation! Another example is of Microsoft Windows 10. Through the Windows Hello framework and Companion Device Framework, it allows a user to use biometrics and/or a registered companion device (like a cell phone) to unlock the laptop/PC/hand-held instead of entering a password or PIN (this option is also available though). This has become possible by making the ecosystem smart and connected. In the Amazon Go example, the mobile app communicates with the sensors in the store for the items shopped and generates the bill. The store ecosystem relies on the mobile ecosystem to identify and bill the user. In the Windows example, the mobile has already authenticated the user and hence, the laptop can communicate with the mobile and rely on the mobile’s user authentication mechanism to unlock the laptop. Automobiles can be unlocked using biometrics of the individual and can even auto set the preferences (temperature, music, etc.). An individual can have specific gestures as their passcode for 2nd level of authentication. Also, the car could detect your state of mind (happy/sad based on your facial gestures, posture, etc.) and play music accordingly to soothe you! A house can be unlocked using biometrics – the door just opens on seeing me! Even the car’s authentication mechanism can be used here. The car communicates with the home door, authenticates itself (and the owner) and the home door opens itself automatically. Again, the home can auto set my preferences like the room temperature, music, etc. Another example is wallet payments. Currently, it is an add-on to the existing credit card or online payment systems, but, in many ways, it can be seen as a replacement of the physical credit card. In fact, many companies are working on facial detection for wallet payments. Imagine, once the ecosystems are connected, it would be possible that your car could pay directly for the gas at the gas station without any intervention! A very simple example in the corporate world would be to auto arrange meetings based on participant’s calendar availability and auto-generating minutes of a meeting along with action items automatically added to the individual calendars. Transcripts of the meeting could be made available for reference later. Another useful scenario could be when the user is driving a car and has to talk on his mobile, the ecosystem will allow 1 action only – of course, with the option to override in case of exceptions. And, the frequency of exceptions would impact the insurance premium! Machine learning and Artificial Intelligence are being explored to solve issues that were unsolvable earlier in the fields of healthcare, heavy industries (mining, oil and gas, marine, etc. ), design and build bridges, cars, buildings and so on. The possibilities are limitless now! The future is all about smart devices that learn, evolve, connect and collaborate with each other to achieve a smart and intelligent world!